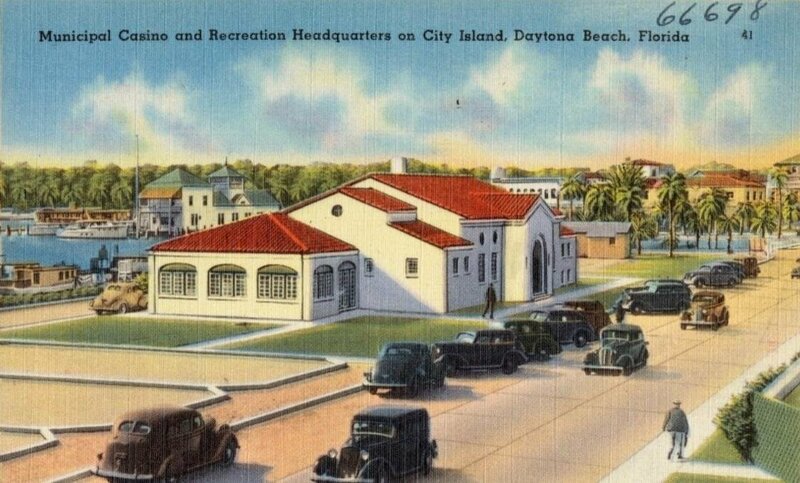 At the Oct. 6 Daytona Beach City Commission meeting, Halifax Heritage Byway group members were able to postpone the demolition for the Historic City Island Rec Center, which is one of the Historic Resources listed for this Byway project. It has been closed and unmaintained by the city for over 5 years. It is almost 100 years old. The Commission directed staff to seek out bids to restore the building completely, including the upstairs kitchen, for the purpose of a new Senior Center during the daytime that would provide meal service. The facility could also be used afterwards as a Community Center into the evening. Staff is also sourcing grants for these projects. Note the coquina rock on the building exterior you can see in the historic photos used in the video. The interior has a stage, hardwood dance floor and features pecky cypress paneling and trim.